Modeling Clay allows children to create beyond the paper with a 3-D medium. 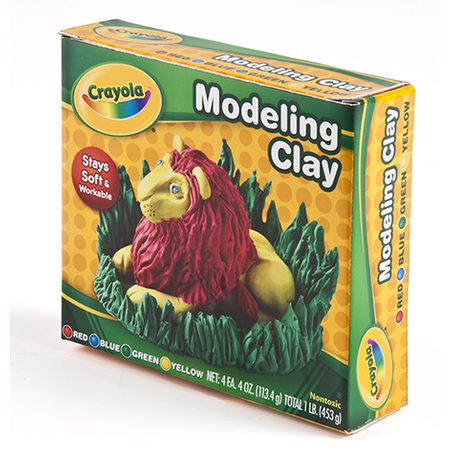 Crayola® Modeling Clay is soft and workable, making it easy for children to create different shapes and figures. Each set comes with 4 different colors of clay: Red, blue, yellow and green, all individually packaged. Modeling Clay has a non-hardening design keeping clay easy to mold, and reusable! Recommended for ages 6 and up. All Crayola® products are non-toxic and safe for children.